Protects against Movers' Sweat, Dust, Dirt, and Water. Package Contains: 1 Chair Cover / Moving Bag. The chair covers worked well for me. I would order again. Great seller! Blazing fast shipping! Thank you again! The Chair Bags Are Great! Never used chair bag before. 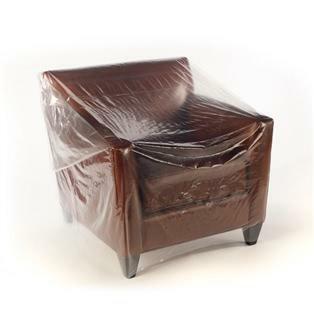 These were good stong and kept my chairs clean and prevented the mover's sweat from getting on my furniture. The chair bags were very good quality. Plus fast shipping.